Do you have neck stiffness when you wake up in the morning? Maybe the neck muscles go into spasm for no apparent reason. Perhaps the neck and upper back pain are a continuous nagging ache. If you experience neck pain, you are not alone. Over 15 percent of adults in the U.S. experience had suffered from neck pain within a 3 month period, as indicated by the CDC and Prevention. 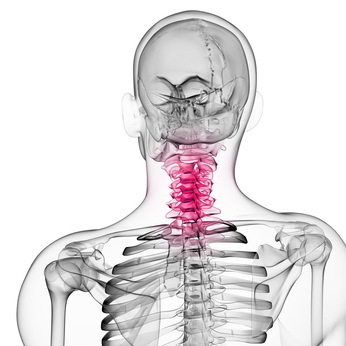 It is estimated by doctors that 7 of 10 individuals will experience neck pain during their lifetime. 1 of 20 of these individuals will have it effect their daily and work activities due to the longstanding nature and bothersomeness of chronic neck pain. Neck pain will often not be a one time experience, 50 to 85 percent of individuals will another experience within 5 years. Neck pain is common because it has to support the head, weighing about 10 to 12 pounds, yet must permit the head to be able to move up and down, tilt and turn. So, the neck must combine this flexibility of motion with strength for support. This combination is achieved with a system nerves, tendons, bones, and muscles that work in a complex manner. The nature of this system means the neck is prone to injuries and strains, especially the effects of poor posture over long periods. A problem with one part has effects by compensation on other parts. If there is any good news involving neck pain, even though it is a painful and sometimes ability limiting condition, it is usually not a serious condition resulting in disability or requiring immediate medical attention. While chronic or long standing neck pain is often difficult to resolve, most commonly, neck pain symptoms resolve quickly with minor attention. Most types are able to be relieved and/or managed with simple home treatments, products designed to alleviate neck pain and over the counter pain relievers. Over the years, there has been a trend towards individuals with neck pain taking an active part in recovery as well as prevention. Taking responsibility to be more active has been noted to improve results. While an initial period of rest and supports like collars can be beneficial, returning to normal activities as soon as possible with the help of effective home use products, medications and therapies like chiropractic and physical therapy is usually preferred, and can help prevent an acute or recent episode from becoming chronic or long standing. Exercises that include stretching, strengthening as well as general exercise continues to show benefits in scientific studies in both treatment and prevention. Sometimes, to provide relief when other traditional therapies fail, surgery is required. At NeckSolutions, we learn about ways to manage and prevent neck pain, ways to diagnose, options for treatments as well as simple measures you can employ and effective products that can help. We also do the same for back pain. There are new methods being discovered and tested all the time and we try to keep up with them, presenting new options, products and methods and information.